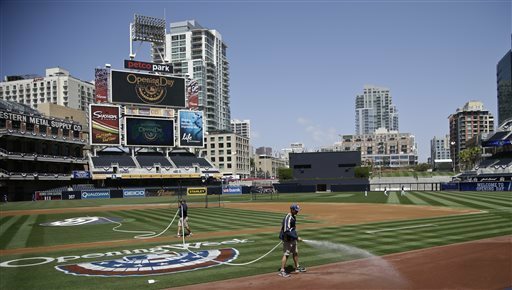 The Padres and Angels were the last teams to have home openers. Naturally they wait to have the cities with the best weather open last. I talk about that on The Sully Baseball Daily Podcast along with the fact that I think the Luxury Tax has worked wonderfully so far. Also I determined that Cliff Lee, Will Venable, Nick Tepesch and Miguel Cabrera owned baseball on April 9, 2013.
is National Newspaper Networks combine newspapers from several States within the USA. Today, Most of newspapers are offering their online editions. almost population speaks Punjabi, the official language of Punjab. Fun and thoughtful commentary. Thanks! finest sites on the web. I will recommend this web site! you have got right here on this post. I'll be returning to your website for more soon. to me. Regardless, I'm certainly delighted I found it and I'll be bookmarking it and checking back regularly!